Version S2 now 40% brighter. 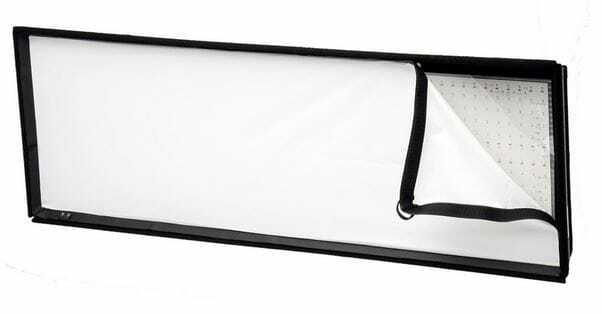 You can think of the LiteGear LiteMat 2L Hybrid as a fluorescent with daylight and tungsten tubes installed. 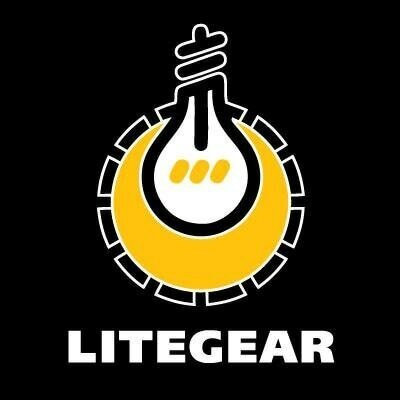 Simply dial between 3200K to 6000K, as well as complete dimming from 0 - 100%.Building on the success of the original LiteMat, with its thin and ultra lightweight housing, soft color-correct Hybrid (bi-color) output, and convenient mounting options, the S2 LiteMat takes lighting to the next level. The new S2 LiteMat is nearly 40% brighter than the original LiteMat, has better color quality, and a widely extended Kelvin range all without an increase in power draw. In addition, overall CRI increased to 95+ with a matching TLCI of more than 95 as well. With all of these tremendous advancements, S2 LiteMat remains compatible with all existing LiteDimmers, LitePower supplies, and cables. The S2 LiteMat 2L is based on two “tiled” light engine measuring 9.5 in. x 19 in. (240 mm x 480 mm). The head unit features 576 genuine CineMitter LEDs and is covered by a thin, clear polycarbonate layer and bordered entirely with Velcro® “loop” fastener. Mounting is provided with a Kino Flo® compatible, removable gimbal mount. The “soft-through-pixelization” method allows the LiteMat 2L to achieve surprisingly bright light levels while remaining under 1 in. (25 mm) thick and weighing just 3.5 lb (1.6 kg). Color-Correct LED Panel Featuring CineMitter. The number one request from existing LiteMat users was a widened Kelvin temperature range. After years of working on the new Cinema emitters (CineMittersTM) we were able to push the lower CCT to 2600 degrees allowing for candle-light or deep-tungsten output while increasing the CRI to a staggering 95+ average. That’s nearly indistinguishable from incandescent sources! On the cool side, the CCT was pushed up to 6000 degress to better balance for overcast sky or cool white fluorescents. This Kelvin extension still achieved a CRI increase to 95+ and provides beautiful, full-spectrum daylight.